Eurasia is often a forgotten space on the radar of the public opinion and the policy community looking at the Islamic world. However, Eurasia offers diversity of Islamic traditions, including both Sunni and Shiite. Islam in Eurasia has been at the crossroads of many influences, interacting with Christianity, European secularism and Soviet atheism, as well as with Islamic revivalist movements from the Middle-East and South Asia. This conference gives the floor to a generation of scholars who have been working on the ground to renew our knowledge of Eurasian Islam in its plurality, going beyond the media hype of Islamist radicalization and terrorism. The first two panels will look at the relationship between state and religion in the region and at the place of Islam in everyday life. The second day will explore Eurasian Islamic actors as they interact with the globalized world: they discover other Islamic traditions, enjoy the rise of digital media as a new platform to discuss religion, and a minority engage in internationalized insurgency theaters. Christian Bleuer will give a presentation based on recent field research and his Afghanistan Analysts Network report “Between Co-operation and Insulation: Afghanistan’s Relations with the Central Asian Republics.” The main focus will be on the real and imagined trans-national security threats in this region that cross the Afghan border in both directions. He will analyse the past and present cross-border relations, including trade, refugees, insurgency, terrorism and cultural ties with an emphasis on how these phenomena affect stability in the region. Dr. Christian Bleuer is a 2012 PhD graduate of the Australian National University. 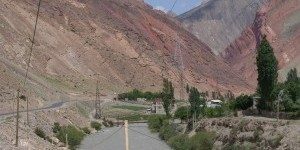 He has spent the last three years in Kyrgyzstan, Tajikistan and Afghanistan researching security and governance with a focus on the connections between Afghanistan and the Central Asian states. Most recently he was worked for the OSCE Academy in Bishkek and the Eurasia Foundation of Central Asia in Dushanbe. Currently he works at the Afghanistan Analysts Network, based in Kabul. His full list of publications can be downloaded at ChristianBleuer.com. 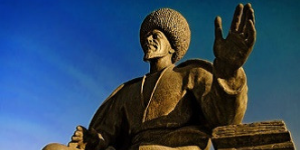 [vc_row][vc_column][vc_column_text]Turkmenistan’s rich culture is less well-known than those great empires who contributed to it, but Turkmenistan has produced its own fascinating – though under-appreciated – art, music, literature, and cinema. 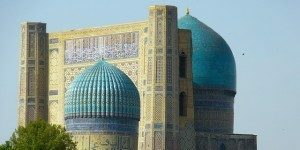 The Turkmen Culture Club welcomes you to explore and experience the creole of deep, desert-isolated nomadic heritage, the ‘Lost Enlightenment’ of Islamic Central Asia, and the influences of European and Asian civilizations and philosophies, reflected through the creative vision of Turkmen authors and artists. In the newly independent states of Central Asia, geopolitical practices and affinities cannot be understood in isolation from their Soviet heritage. However, after nearly 25 years since the collapse of the USSR, this near-automatic explanation of contemporary politics in terms of Soviet legacies is no longer sufficient for understanding Central Asia’s shifting geopolitics. In this paper, I analyze how geopolitical identities are narrated through urban development schemes in Astana, Baku, and Ashgabat – and in particular how they are increasingly connected to new flows of actors, ideas, and finance from the states of the Gulf Cooperation Council (GCC). 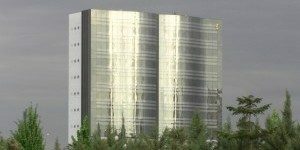 Adopting a critical geopolitics approach, I compare and contrast elements of these capital city development schemes in Kazakhstan, Azerbaijan, and Turkmenistan with those in Qatar, Bahrain, Saudi Arabia, and the United Arab Emirates. Through this comparative analysis, I demonstrate how region-making and geopolitical orientations unfold not just at the level of rhetorical positioning, but can also develop through the material practices of cross-regional networks around highly specific political tactics, like capital city development. Also considering divergences, I note that although the urban landscapes these tactics materialize are very similar, there are important differences in the underlying political geographic and political economic factors that makes them possible, as well as the political relations they sustain and produce. Asema gets engaged to Murat and the two go to Murat’s hometown, where the traditional Kyrgyzstani culture remains. One day, Asema learns of a plan to kidnap his bride for a shepherd called Sagyn. The film comically depicts the “marriage by abduction” that continues to happen in the countryside of Kyrgyzstan. The film also poses questions about marriage and love. Turkmenistan’s rich culture is less well-known than those great empires who contributed to it, but Turkmenistan has produced its own fascinating – though under-appreciated – art, music, literature, and cinema.